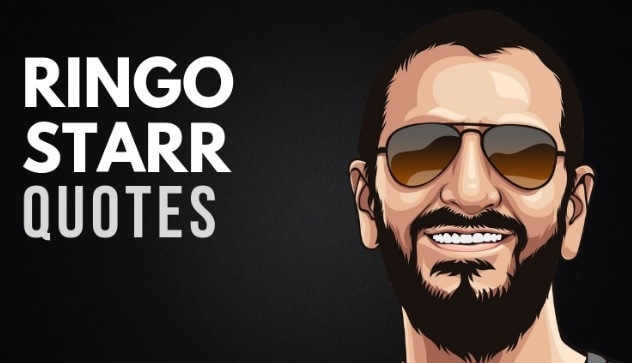 Posted on 26 januari, 2019 by Artillio Bergholtz Posted in Nyheter, Ringo Starr	. Här presenteras ännu ett avsnitt av 35 inspirerande citat från självaste Ringo Starr. My occupation is syncopation. But, every time, my syncopation is different, because I can never play the same fill twice. I just can’t, never have been able to. The Beatles were just four guys that loved each other. That’s all they’ll ever be. Take a dose of rock and roll, and wash it down with a cool clear soul. I’m a musician and I’m really blessed, because in my life if I can hold the sticks, I can play. End of part 3 out of 7. « Ny Stella McCartney-kollektion hyllar The Beatles!